Mediaset is looking to reach the estimated four and a half million Italians living overseas with a dedicated OTT service. 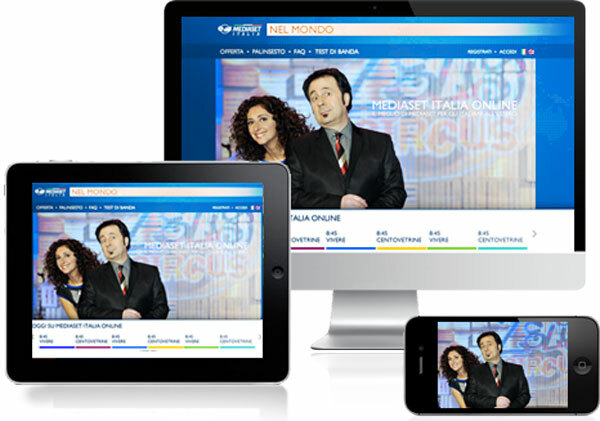 Mediaset Italia is extending its coverage online, having operated in neighbouring countries for several years. It features a selection of programmes from Canale 5, Italia 1 and Retequattro. The main news bulletins are included as are sporting events where Mediaset has been able to clear the rights. Currently available on Mac, PC, iOS and Android, it’s planned to make Mediaset Italia available through connected TVs during the course of 2015. The service has been priced at a monthly €5.